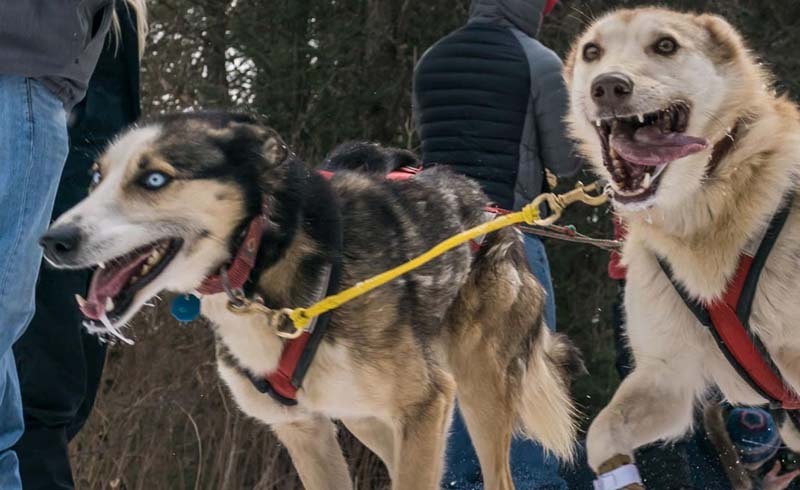 300 miles, 450 dogs and a rare breed of humans: 400 volunteers brave ice, snow and sleepless nights to host the longest mushing event in the lower 48. By 1:05 a.m. Monday, the temp hits 14 below zero. Gregg Phillips slips off a mitten, clicks on his headlamp and slides a latex-clad finger in a dog’s mouth. 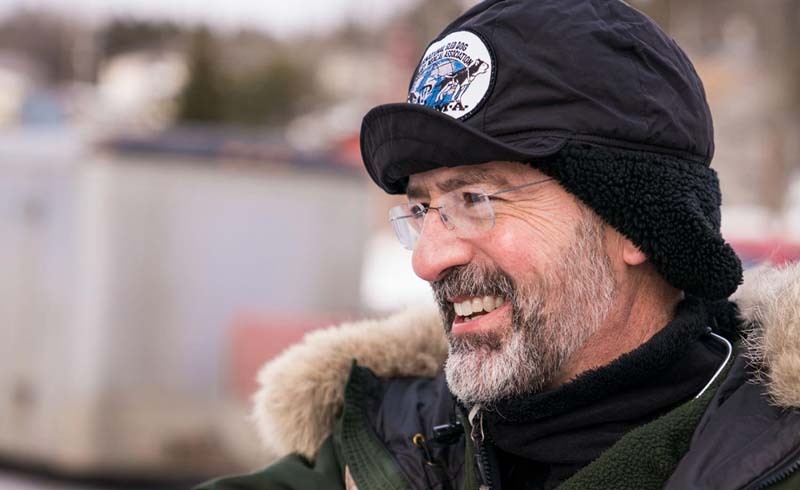 “He’s dehydrated,” Gregg tells the musher at a road crossing in northern Minnesota. She’ll have to make the last dash to the finish without Kenai, a rookie Alaskan husky on the team. Gregg swipes Kenai’s snout with the orange disqualifying mark (“a badge of honor” he calls it), then moves down the line. His crew has hundreds of pulses to check, gums to swab and vet diaries to update (one per musher) before rushing to the next checkpoint by sunup. Dehydrated, hungry and sleep-deprived themselves, the vets will get their break in two days, after the snow settles on the finish line. 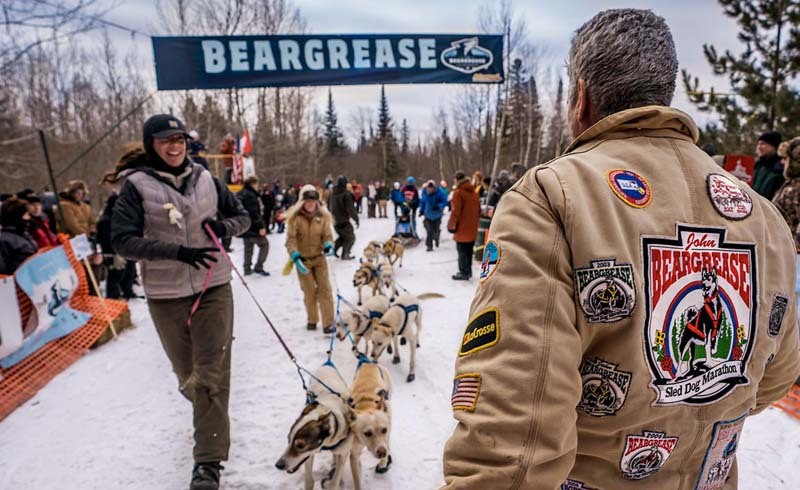 Gregg’s team of 20 rounds out 400-some volunteers who host the John Beargrease Sled Dog Marathon each year along Lake Superior’s frigid North Shore. Their pay for four days of around-the-clock work? 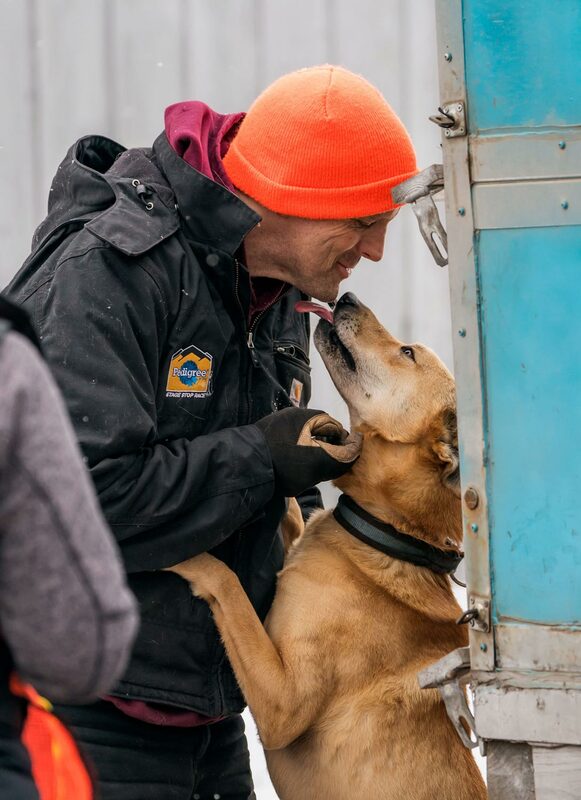 The satisfaction of sustaining the longest mushing race in the continental U.S. And quality time with 450 dogs. For 34 years, the Beargrease has covered hundreds of miles of frozen Minnesota terrain. Merciless hills wind through wolf and moose country in the Sawtooth Mountains butted against the Canada border. Full-distance racers climb 30,000 feet of elevation. It’s equivalent to summiting Mount Everest from sea level, and then some. 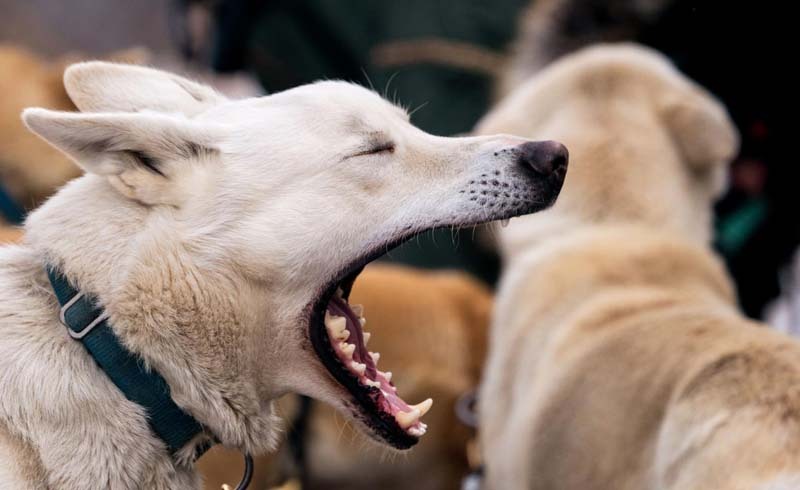 In the bleak wilderness, teams of volunteers gather like a chain of fireflies—tending campfires, handling dogs and tracking mushers at key checkpoints spread over 300 miles. Many find that their strange take on vacation confuses their families, prying journalists and even themselves. “My friends go to Mexico. We come out, stand in the cold, don’t sleep. 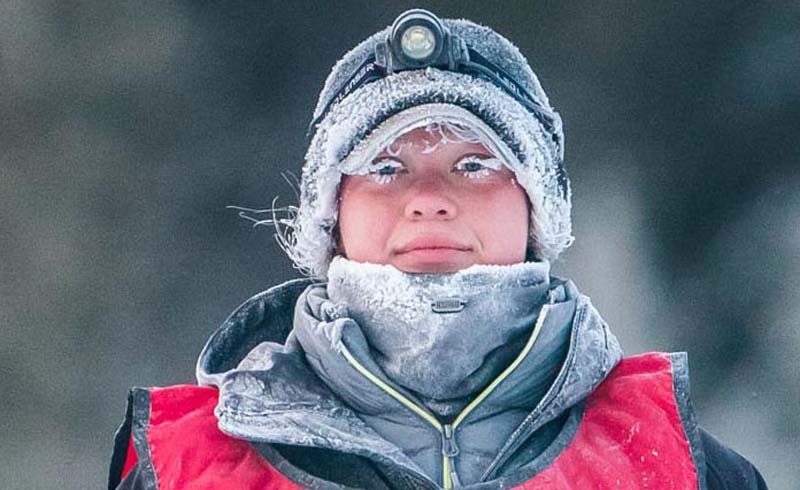 Then come back next year,” cracks 13-year volunteer Traci Ellingson of Summit, South Dakota. Asked directly what keeps drawing them back, volunteers default to wry self-deprecation and credit inertia. Yet every mile along the trail points toward something bigger: a steely family bond, a religious-like zeal for dogs or the mysterious call of John Beargrease. The race’s namesake was born in 1858 to an Anishinaabe chief in Beaver Bay. Raised a hunter, fisher and trapper, John became a mail carrier. 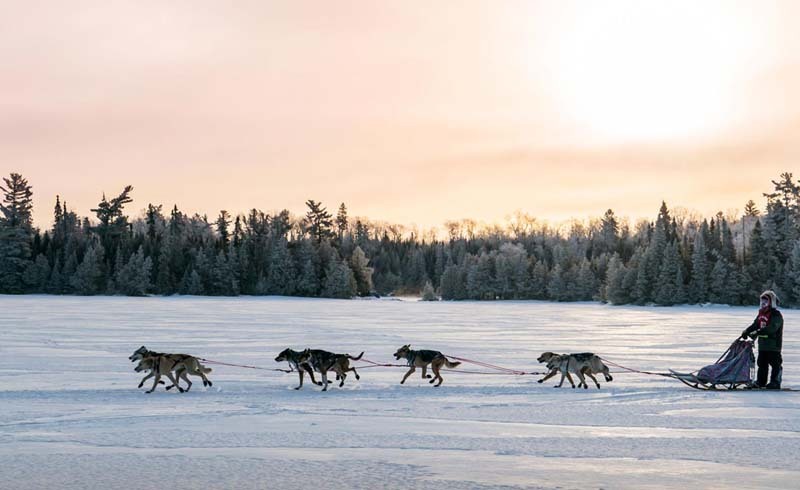 For 20 years, he relied on sled dogs during the harsh winters, hauling up to 700 pounds between Two Harbors and Hovland, north of Grand Marais. That ended at the turn of the century when a road expanded north of Duluth. In 1910, John died of pneumonia after falling into Superior’s icy waters from a capsized mail boat. Today the Beargrease remains in family hands. John’s great-grandson Mike Keyport and Mike’s niece Jean Vincent have led the Beargrease Board of Directors. During prerace ceremonies, every competitor is sworn in as an official U.S. postal worker and given mail to carry to the finish. As for the starting line Sunday morning, Bib No. 1 is reserved for John. A sobering hush blazes the trail for two minutes before any musher enters the woods. Wielding a pitcher of hot Tang at 4:35 p.m. Sunday, Josh Capps pours an orange line in the snow at the end of a bridge. “The Sawbill Checkpoint is officially open,” he declares. Tang has been a staple for decades at Alaska’s Iditarod, the 1,000-mile crown jewel of sled dog racing. Fittingly, this remote checkpoint along the Temperance River certifies the Beargrease as an Iditarod-qualifying race. Unlike other stops, the far-flung tent city near Tofte bars access to each team’s support crew. Full-distance mushers must feed, water and rest their dogs unassisted. 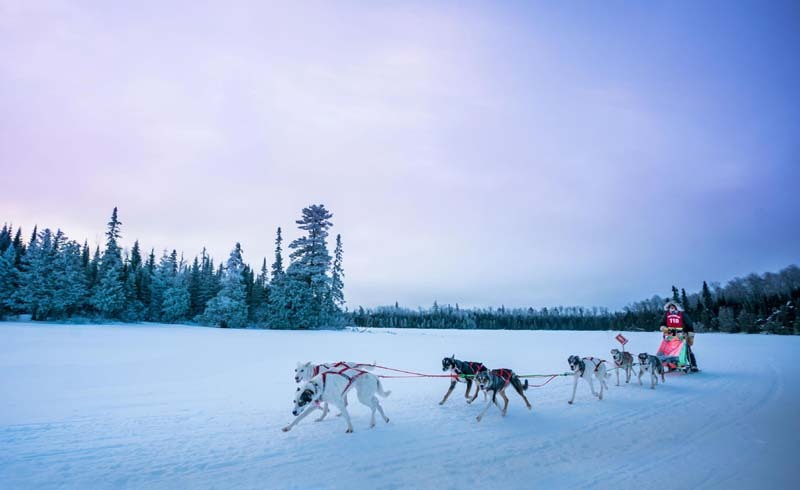 It’s second nature for teams with Iditarod experience. Once settled in, they aren’t fully roughing it, thanks to Josh and his die-hard “Sawbillies.” In one canvas tent, Josh’s aunt stirs a pot of chili. His dad, David, handles biscuits, while his mom, Lynda, cooks up Sawbill’s signature trough of bacon. “It’s a celebration of winter. People make an annual pilgrimage to be here,” says Josh of Grand Marais. His core team of about 20 volunteers includes Traci and her two kids from South Dakota, who have grown up looking forward to Sawbill in January. Each Sawbill volunteer rigs a different camping setup. Josh keeps it simple: an insulated hammock in the open air for his five-night stint setting up and running this checkpoint. Others drag in 150 pounds of gear. Under Moroccan lanterns, one camper shows off a sofa made of snow beside a woodstove, an oriental carpet, simmering stew and a stash of high-end booze. After feeding them, he heads to the food tent. Alaskan Ryan Redington, grandson of Iditarod founder Joe Redington Sr., arrives moments later. The mushers swap stories from the trail over chili, snooze for an hour or two in the straw with the dogs, then vanish back into the woods. Near the Canada border, Grand Portage Reservation marks the northern end of the route. 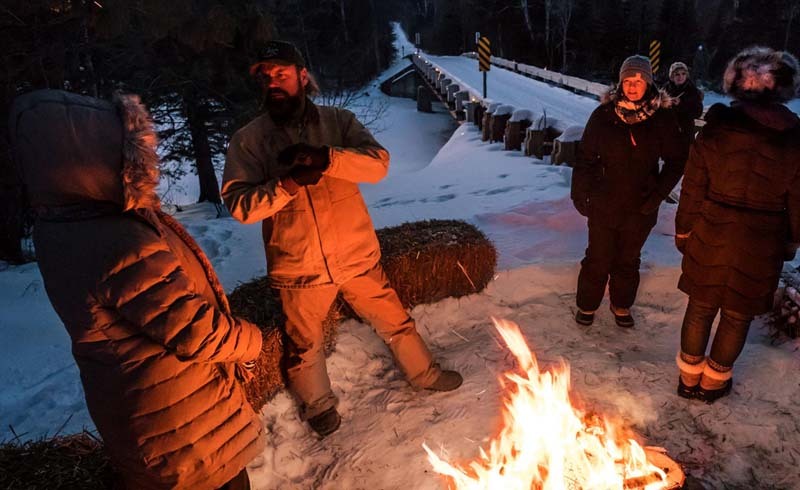 It’s here, on tribal land, where the Beargrease feels most tethered to its roots, says Norman Deschampe, chair of the Tribal Council for the Grand Portage Band of Lake Superior Chippewa. That sentiment has lured Jette McGavin and Karen Stott away from southern Texas for four Januaries straight. “This is our girls’ trip up in the cold and with the dogs,” says Jette, a South African transplant. The friends wait at The Finland Checkpoint line to count dogs, help mushers sign in, and log arrival and departure times. After volunteering at the Iditarod, they prefer the Beargrease for the close interactions with sled teams and less commercial feel. “It’s all about passion for the animals and the people,” Jette says. No one knows that passion better than Gregg, the head veterinarian. He rolls out of an SUV at sunrise, after a full night of health checks. “I slept an hour on the drive from Caribou Checkpoint. Best sleep I’ve had in the past week and a half,” he says, smirking under bloodshot eyes. His marathon began two weeks ago, balancing his daily vet job with organizing supplies and a crew of 20 vets from home just north of Stillwater. “My house looks like somebody threw a bomb in it,” he joked before race week. Once the race starts, he describes his job as following the chaos to the finish line. And technically, it’s three races, with a mid-distance and recreational race overlapping with the full marathon. But unlike the competing mushers and dogs, Gregg doesn’t get mandatory rest time. “At the end, you’re tired, worn out, you smell, and haven’t eaten much. Then you wave and tell everybody, ‘see you next year,’” Gregg says. Vacation is almost over.